babus of india: Babus organize inter-ministry carrom tournament next month; but why can’t govt rebrand carrom as the game of the Maharajas? Babus organize inter-ministry carrom tournament next month; but why can’t govt rebrand carrom as the game of the Maharajas? Rs 100 for team event and Rs 50 for personal category as joining fee. The last date of entry is October 7, and on October 10, there will be a draw on who would play against whom. And then the matches will be held at the table tennis hall in Nirman Bhawan, a government building that houses the ministries including urban development. The categories for which the government employees would actually compete with each other include team championship, men’s singles, men’s double’s, women’s singles and yes, veteran’s singles (50 years and above). 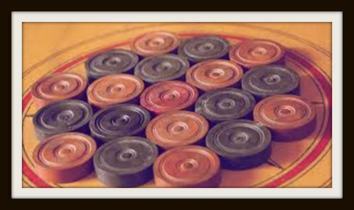 Carrom like cards are always dubbed as a lazy men’s game with no involvement of physical exercise at all. So, there could be questions on why should a government agency be involved and spend money in organizing an eight-day-event for a game like carrom? But there could be a counter-argument as well. After India has successfully demonstrated the power of yoga to the world, can’t it rebrand this Indian-origin “strike and pocket” game? Carrom, popular in South Asian nations such as India, Pakistan, Bangladesh, Sri Lanka and Nepal, was possibly introduced by the Maharajas. According to Wikipedia, this game became popular among masses only after the World War-1 (1914-1919). International Carrom Federation that frames the rules of the game is based out of Chennai. It was in 1988 the delegates from India, Sri Lanka, Maldives, Malaysia, Germany and Switzerland met in Chennai (then called Madras) for what it called the first World Carrom Congress. It was decided to set up the International Carrom Congress headquartered in Chennai.